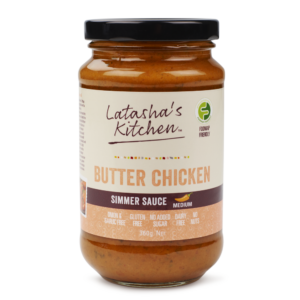 Latasha’s Kitchen Low FODMAP Butter Chicken and Rogan Josh simmer sauces are designed to contain the per serve levels of FODMAPs appropriate to the low FODMAP diet. This is confirmed by testing and accreditation with the FODMAP FRIENDLY FOOD PROGRAM which certifies food products with acceptably low FODMAP levels. 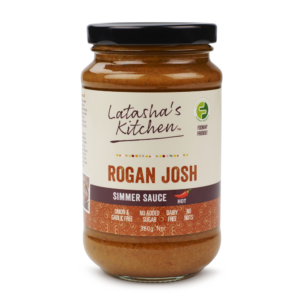 The new simmer sauces are a boon to low-FODMAPPERS as adding flavour to their meals in a hurry is not always easy.